If you've ever gone out to buy an auto insurance policy you're all too familiar with the fact that trying to read the details about your policy can be like trying to translate Greek-without a dictionary. Many online auto insurance companies use so much legal-ese that the average reader needs a lawyer to translate their policy agreement, and its often hit or miss as to whether or not your auto policy is really going to provide the coverage that YOU NEED if you wind up in an accident. So how do you know whether or not your auto insurance policy is sufficient? More importantly, what do you need to know before you go out and BUY an auto insurance policy to make sure you dont find yourself on the short end of the stick when filing a claim? Know what your insurance requirements mean. When reviewing your insurance requirements youre going to find that most states require their drivers to have coverage for both property damage (damage to another vehicle or public or private property in the event of an accident) and bodily injury coverage (the medical expenses incurred by the occupants of the other vehicle or passers-by who may have been injured in an accident that you were responsible for). You will also have the option to carry collision insurance, which will pay for damage to your own vehicle in an accident, and comprehensive, which will pay if your vehicle is damaged by an Act of God such as a hurricane or flood. Know that a minimum requirement is precisely that-a minimum. Consider when choosing the upper limits of your auto insurance policy how much you will be able to afford to pay if you are in an accident. If you cause the accident you will be responsible for all damages incurred, including your own. That can get very expensive, very quickly! For most people its smarter to carry a higher level of coverage with a higher deductible than to carry the minimum and hope they'll be able to pick up the remainder. Know the value of your vehicle. If your car is only worth $800 and you aren't carrying a loan on it, you may end up paying more to carry collision insurance on your auto insurance policy than you will receive if the car has to be totaled. On the other hand, if you're driving a brand-new, $30,000 truck that you took out a loan to purchase (a loan you will be responsible for paying whether you have a derivable vehicle or not) the extra $50 or so a month is well worth it. Before you buy an auto insurance policy, know the basic facts-and don't be afraid to ask your sales rep to explain anything you may not understand. 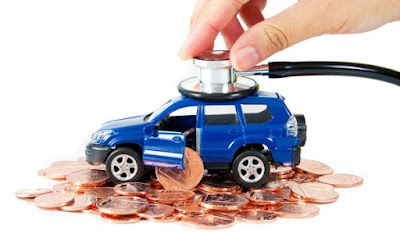 Your auto insurance may well be the best investment you make in a month, so it is vitally important that you get the policy that's going to work for you.